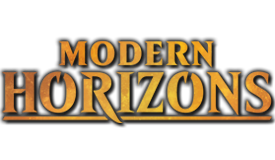 This thread will serve as a compilation of official threads and useful links for Commander players, both to other sites and to threads and forums on MTGS. If you believe a certain page should be added to it, please PM one of the Commander mods or post on our Commander Helpdesk. This is a list of all the Official threads in the Commander forum area. If you wish to create a new thread that is similar in nature to one of these, please instead use the existing thread. Failure to do so will result in your thread being merged or locked, and possibly infracted for spam. If you have a suggestion for an official thread idea, PM one of the moderators with your idea. The Articles, Podcasts, and Event Coverage Thread - this page is for soliciting offsite commander specific information. Essentially its where you go to advertise for useful commander info. Please review our subforum rules (number 6 specifically) before soliciting here. The Top 50 List - A comprehensive list of the best 50 cards in each color. This list is maintained by the moderators and voted on by the community. The Looking for Group Thread - Used for locating other players in your area or letting others know where you are in case someone else needs a playgroup. Unreleased Card Discussion - Use this thread for general discussion of unreleased and brand new cards. The Pimp Decks Thread - Got an all foil, foreign, and/or altered Commander deck? Here's where to show it off. Sleeve and Deck Box Discussion - Finding a box to hold 100 sleeved cards and sleeves that will last for years can be tough. Here is where you can make recommendations and find suggestions for card storage. Contains a list of relevant products compiled by OmniDreamer. List of Multiplayer Primers - A comprehensive list of all currently approved deck primers for multiplayer. If you are interested in creating a primer, read this. List of 1v1 (Traditional) Primers - A comprehensive list of currently approved deck primers for heads up play, using the regular ban list. If you are interested in creating a primer, read this. List of Duel Commander Primers - A comprehensive list of currently approved deck primers for 1 vs 1 play, using the Duel Commander (French) ban list. If you are interested in creating a primer, read this. 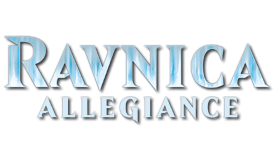 List of Variant Primers - A comprehensive list of all currently approved deck primers for variant EDH play, such as Pauper, Horde, or Tiny Leaders. If you are interested in creating a primer, read this. Print this Wizards (so I can play it in EDH) - Custom Card Creation should generally be kept to the CCC forums, however Commander specific Custom Card Creations can also be discussed in this official thread. Multiplayer Banlist Discussion - If you think card X should or shouldn't be banned, talk about it here. Note that this thread only covers the official banlist. To discuss the French or MTGS banlists, please use this thread. 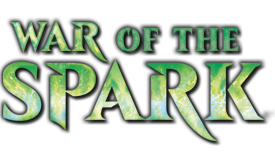 The Color Identity Thread - This thread is for discussing the color identity and mana production rules, how they apply in Commander, your opinions on them, and how you'd fix them. The Tuck Rule Thread - The change in the tuck rule has been so controversial that we have dedicated a thread just for it. The Mulligan Rule - With the Rules Committee announcing that they are looking into a probable change of the mulligan rule, we've created a dedicated thread to discuss everything mulligan. The 'Casual' vs. 'Competitive' Thread - For your need to debate what the true intent of the format is supposed to be. Have a rules question? Check out these places. mtgcommander.net - The official Commander website, containing formats rules, the official banlist and forums. DuelCommander.com - The official Duel Commander website, containing format rules and official banlist. 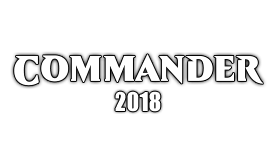 Commander Rulings FAQ - Information and FAQ on the banlist, the rules, and a few rules committee decisions that are not necessarily enshrined in the rules themselves. Knowledge of some of these pieces of information is almost essential, so huge thanks to d0su for coming up with the idea for the thread and putting it together and cryogen for currently maintaining it. The Magic Rules Resource Page - Contains links to the comprehensive rules, set FAQs, the DCI Document Center, and anything else rules-related you could possibly desire. 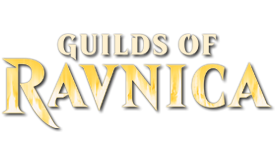 The MTG Salvation Rulings Forum - if you have any questions about the rules, specific card interactions, or even commander specific rules, ask them there. All sorts of deck building tips, tricks, and shortcuts. How to build a Commander deck - An excellent guide by Blackjack68 that covers all the basics of building a Commander deck, lists lots of commonly used cards to fulfill certain functions, and does plenty more besides. A must-read if you are new to the format. The Decklist Database - Contains sorted links to almost three thousand (and counting) Commander decks built by MTGS users. A good place to start when you decide to build a certain deck - see what everyone else is doing with the general! Many thanks to KingChewie for all his hard work maintaining and updating the database until August 2012, and Dm225 for taking it over until 2013. scoeri currently maintains this thread. List of Multiplayer Primers - Primer threads are some of the highest quality threads on these forums for discussion of building around each commander. This thread is the definitive list of multiplayer primers. List of 1 vs 1 (traditional) Primers - This is the 1 vs 1 equivalent of the above multiplayer primers thread for decks using the traditional banlist. List of Duel Commander Primers - This is the 1 vs 1 list for decks using the Duel Commander banlist (French). The Top 50 Cards list - A list of the fifty best cards in each color (as well as multicoloured, lands, and so forth), as carefully chosen and deliberated over by the users. Thanks to Surging Chaos for maintaining the list for several years and DalkonCledwin who created the list. The current list is maintained by the commander moderator team. Statistical Breakdown of the Commander Metagame - scoeri has written a script to determine the most popular cards in decks submitted to the Decklist Database. The results are showcased here. Statistical Average Deck for the 50 Most Popular Generals of the Past Year - scoeri has written a script to determine the most popular generals from the last year as well as the average decklist for each one. The Tribal Decklist Database - scoeri has written a script to pull many of the tribal decks found in our forum, and sorting them by tribe in the thread. If you're looking for different commanders and lists for a particular tribe of yours, this is the place to start! The Hidden Gems Thread - Discussion of powerful cards that don't get enough attention. Everything Token - a compilation of cards and strategy for token-based decks run by Enizzle. Infinite Combo Database - mazanostra started and continued by HansonWK, it is a compilation of combos and strong synergy cards. Gatherer and magiccards.info - The two major card search engines. The former is the official Wizards one, and the latter is operated by our very own Hannes. Which one you go for is pretty much dependent on personal preference. Expect to make heavy use of these when you're trying to find the perfect cards for your deck. ManabaseCrafter - An easy to use website: simply plug in your General and it will list every land that is legal for its color identity. Format Staples - A similar list of commonly used cards, compiled and maintained on the official forums by onlainari. Playing Commander to Win - razzliox has put together a resource detailing how to cultivate a competitive playgroup, and what it means to build a cutthroat multiplayer Commander deck. The Stax Primer - An older but still useful guide to all things stax, created by Phil. MTGS Magic Software forum - Salvation's board for anything to do with Magic on the computer. Cockatrice - The best free online Magic-playing program. No hard-coded rules support, but it's a pretty great sandbox and deck testing resource. Officially discontinued after Wizards got a bit grumpy, but downloads and servers are still hosted by a third party. Magic Workstation - Used to be the default free online client until Cockatrice showed up. mwsgames.com - The official MWS resources site. Contains masterbases, themes and documentation, among other things. slightlymagic.net - An alternative source of masterbases and themes. 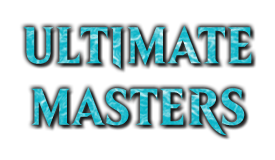 Master Playgroup List - Hermes_ has created a list of all the various groups around the world. If you're looking for a game in a particular area or want to advertise your group, this is the place to do it. The Commander forum has created a community helpdesk. In an effort to keep the number of pinned threads to a minimum, we have consolidated this thread with the resources thread.